When the question boils down to which is the best one to choose among the range of camcorders available in the market for independent filmmaking, then it’s obviously a crucial task to filter out the proper one. While talking about the independent filmmaking, irrespective of its concomitant budget, it is expected to have the required services of provided by any decent HD camcorders that also supports image control, focus control and at the same time includes the microphone. 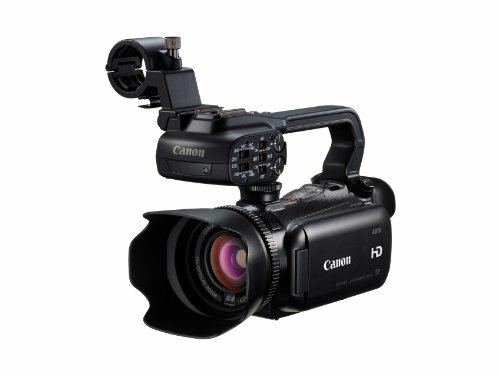 Now, presumably here a list of best camcorders for independent filmmaking has been provided according to the corresponding performances along with giving emphasis on the required technical specifications. 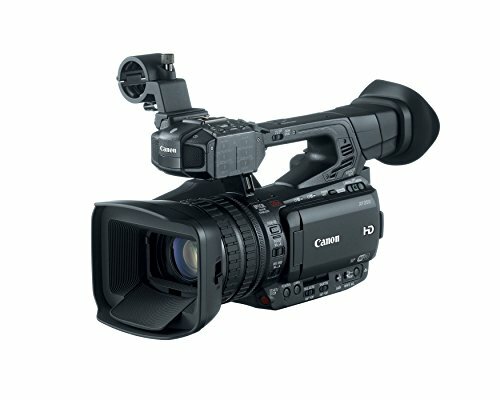 Canon XA20 is another appropriate one for particularly independent filmmaking with having the core features of a tremendous powerful 2.8 mm lens, outstanding video quality, unbelievable low light performance and comfortable autofocus mode. For XA20 it would have been incomplete if the mention about its superb expertise in the case of sports videos was omitted. 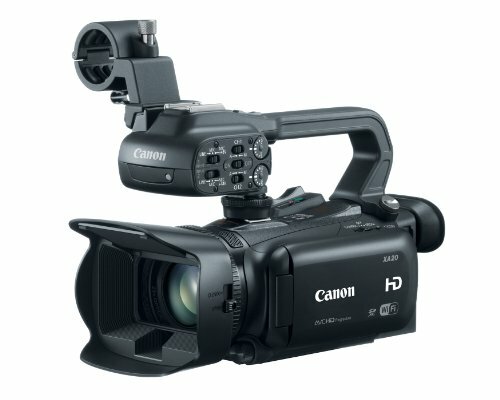 Canon XA10 professional level camcorder integrates full manual control, an enormous 64GB internal memory and the ability to accept the XLR audio inputs from the microphone in just a single small devise. As a whole, by not being much heavier in all respect it truly impresses and becomes a real piece of beauty. It also provides a sensor of size 1/3 inch overhauling other competitive models in this regard. 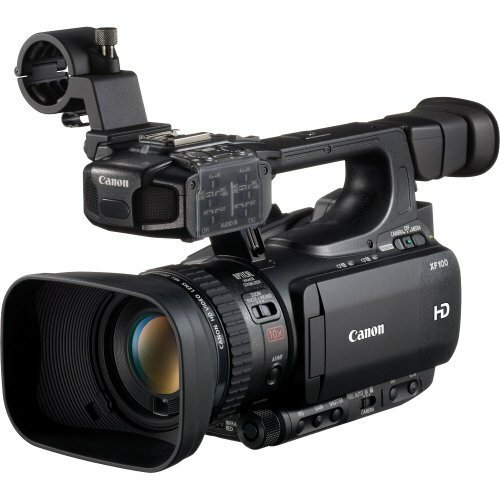 Canon XF100 is another very much capable camcorder with a ton of features that one can use to record high-quality high definition videos with proper lighting conditions specifically in the case of independent filmmaking. 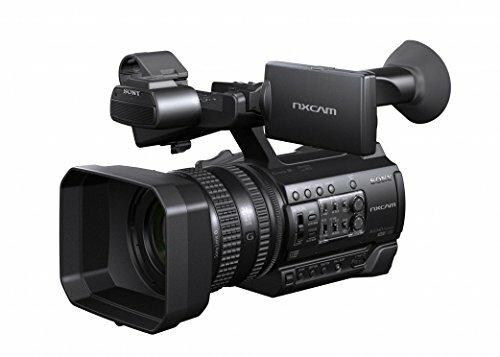 The XF100 camcorder features a 10x HD zoom lens, a 1/3” CMOS sensor, 4:2:2 color sampling,50 Mbps MPEG-2 recording, multiple bit rates, multiple resolutions, dual XLR inputs etc. Filmmaking is quite a demanding career in every aspect. Thanks to a flood of apt camcorders in the market, you at least don’t have to worry about buying a good piece of equipment for that. Above five camcorders are the best for this purpose and hence, here’s a little more about them to let you know more. 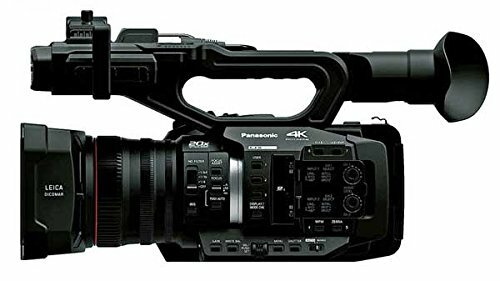 The list features two camcorders by Panasonic: HC X1000 and AG AC7, both of which are quite suited for professionals but let’s talk about their differences. First of all, the X1000 comes with a complete kit which makes the deal even more appealing. In terms of video resolution, the X1000 has the 4K recording at 60FPS, whereas the AG AC7 has 1080p at the frame rate of 60i. Also, the X1000 can zoom up to 20x Optically, whereas the AG AC7 can zoom only up to 16.8x. But then the AG AC7 has 23x Intelligent Zoom as well. Both use the Crystal Engine by Panasonic for the flawless professional finish in your work. To control the functions, both have an LCD TFT touchscreen. An important thing to be noted here is that the X1000 has better Mbps than the AG AC7 which means the former has smoother videos. 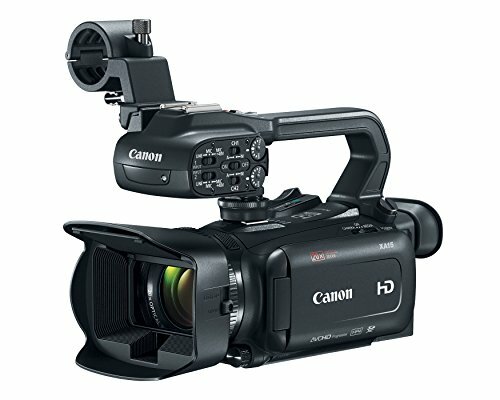 Now the Canon XA20 has a special place on the list as it has some of the unique features. 8-blade Circular Aperture and Manual Focus Ring lets you zoom by 20x, optically. Capable of recording 1080p at 60FPS, a true professional would also love how this cam has a 2.91MP CMOS Pro Image Sensor to instill colors into the picture quite seamless after channeling the data through its DIGIC DV 4 Image Processor. Built-in WiFi function wirelessly shares your videos or pictures with your smartphone or PC. Infrared shooting mode perfectly makes sense why this cam is pretty popular among professionals. Sony PXW-X70 could also be a credible choice, but not quite the flagship by Sony. However, you cannot doubt it in terms of features and specifications. 1” Exmor R CMOS Sensor, Multiple codecs, 12x Optical Zoom with the Manual lens ring, ND Filter and XLR microphones are some are the most apparent proof for that. And the best part is that it is upgradable to 4K UHD video recording. With the help of WiFi, it can also be used for remote controlling. With quite a name in the audio sector, JVC is one big name in the world of camcorders as well. And its exclusive 1/3” 12-bit CMOS sensor captures light better than most in the market. 23x Fujinon Auto Focus Zoom with manual functions makes it easier to focus on specific things. 3.5-inch color LCD display is also bigger than most brands have to offer and the XLR audio input ports facilitate better voice recording than the conventional way. And oh, we almost forgot; it records 1080p videos at 60FPS which is smoother than a brick of melting butter. Best5list.com participates in various affiliate marketing programs like Amazon affiliate, we may get a small commission on purchases made through our links to retailer websites but all of our best listings are independent of affiliate relationships.